In 1984, a group of alien robots woke up from a billion year slumber to a new home called Earth. 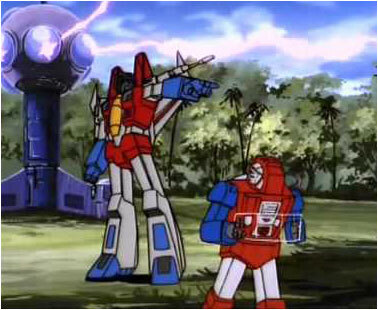 This in a nutshell is how the story of the cartoon series The Transformers began. 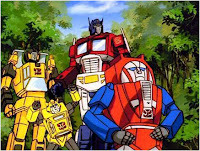 Now while a majority of the Autobot crew took an immediate liking to Earth and it’s inhabitants and welcomed the experience of establishing a new home, a few others weren’t quite as happy. The minibot warrior Gears was one of the few Autobots who never liked the Earth, in fact he hated it and made sure everyone knew about it constantly. But his grumblings weren’t exclusively about being “shipwrecked” on Earth, Gears pretty much complained about everything, from how his wheels aren’t properly aligned to the tune of a song playing on the radio. Despite his seemingly unpleasant nature, his teammates actually found his endless rants quite amusing. They all knew that, while he was truly homesick and longed to return to Cybertron, they believed that his complaining served a purpose, and that was to encourage them to find the silver lining in what he is complained about. So growing up, because of their higher price point, I only owned a handful of actual Transformer toys. And most of the ones I had were on the smaller size like the minibots. Of the six original minibots though, I only had three, namely Brawn, Bumblebee and Gears. 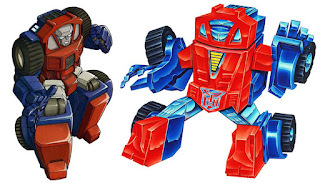 And of the three, Gears looked the coolest, unlike Brawn or Bumblebee, Gears’ toy was the most compact and proportional, which is why I took an immediate liking to him (this was before I actually got into the cartoon so I didn’t really know what a sourpuss he really was). Anyway, despite having such a distinct personality, Gears wasn’t really featured much in the cartoon and was relegated to a background character with a few throwaway grumpy lines in most episodes. Luckily though, he did have one specific episode centered around him or more specifically a special circuit board that he possessed inside his chest. As the story goes, Megatron and the Decepticons build this mega contraption called a Solar Needle to harness energy from the sun. And for some reason, the key component to making the contraption work is a special circuit board that can only be found inside Gears (ah the beauty and creativity of 80’s cartoon storytelling). So they capture Gears and take out said circuit board from his chest and hook it up to their machine. Now in a funny twist, it turns out that the circuit board is the actual reason why Gears is such a grump, so once it is removed, he immediately turns into an impossibly cheerful and helpful robot. 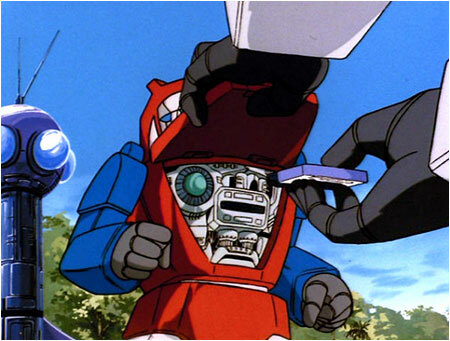 Gears becomes so altruistic that he can’t even resist helping out Megatron collect energon because well...Megatron asked him to! Anyway like almost all episodes go, Optimus Prime and co. arrive just in time and manages to convince Gears to blow up the Solar Needle as a favor to him, the Decepticons retreat and all is good. 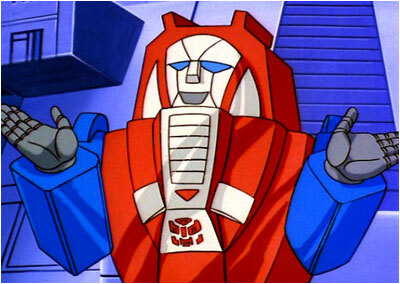 Of course, in the end, after jokingly saying they prefer the happier Gears, the Autobots hand back Gears’ circuit board and the good ol’ grump is welcomed back into the fold (actually they leave him as he stands there complaining about everything else). 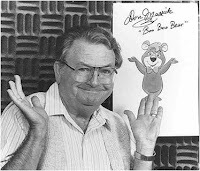 Totally random tidbit, but here’s an interesting fact, In the cartoon, Gears was voiced by the legendary voice actor Don Messick who is famous for voicing numerous characters for Hanna-Barbera including Astro from The Jetsons, Boo-Boo Bear and Ranger Smith in The Yogi Bear Show as well as Papa Smurf. In the cartoons, Gears also stood out because he had a rather unique appearance with a rather wide head. Naturally, his original toy looked nothing like his animated counterpart. He didn’t even have a face. The only official modern update of Gears came later in 2014. He looked decent, but the mold used was actually made for another character, Swerve who in the original line was a repaint of Gears with a distinct new head. Swerve had gained some newfound popularity in the current IDW comic so Hasbro prioritized releasing a toy based on him, making Gears the obligatory repaint this time around. As a result, this new updated Gears looks a little more...forced. It’s also worth mentioning too that despite never actually coming out in any of the live Transformers movies, Gears received a movie based toy, which was basically a repaint of another character. 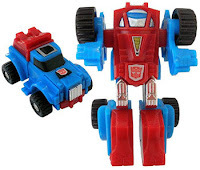 I would say that despite the name though, this toy was more of a homage to the original Gears….of course, pretty much any character from the movie universe looked nothing like their G1 counterpart. Some third party companies also tried their luck coming up with their own version of Gears. In 2013, iGear released their version named “Cogz” which I got and immediately regretted. Despite the fact that you could switch the face from a masked version (like the original toy) to unmasked (like the cartoon) it was pretty underwhelming and awkward to transform. I eventually sold it. In the same year, SXS Toys released their version oddly dubbed “Continuously Variable” which looked more like a Gears on steroids. This was an easy pass for me. 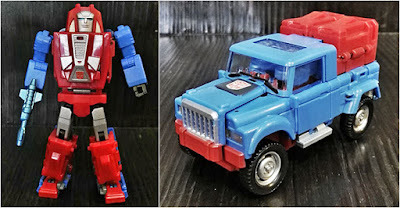 In 2014, Maketoys released “Cogwheel” and while he looked pretty cool, he transformed into a Cybertronian truck and really didn’t seem to fit in any part of my collection so I unfortunately passed on him too. Fortunately in 2016, Badcube finally gave us a proper plastic rendition of Gears that looks like it stepped out of the television screen, appropriately named “Grump”. 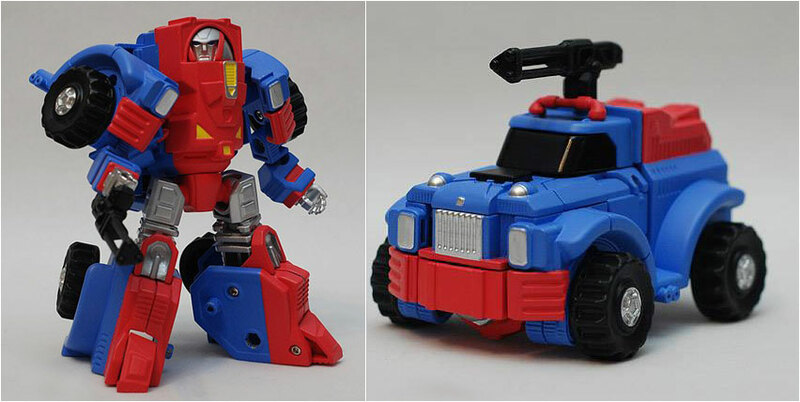 Admittedly, he can be a bit of a chore to transform, but the end result is a neat earth truck reminiscent of the original toy. And as an added bonus, they even took the time out to give us a removable circuit board in homage to his sole starring episode, in case we prefer a happier Gears. So if there aren’t any more complaints, I figure this would be a good place to end this post dedicated to every Transfans’ lovable grump, Gears.